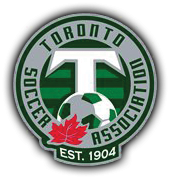 The Toronto Soccer Association (TSA), in partnership with it's members, is dedicated to providing the opportunity for any person in the District of Toronto, to play organized soccer and to assist participants in reaching their potential through leadership, development, caring and good governance. Aside from this, the TSA also runs 3 of it's own soccer Leagues, which are comprised of almost 150 teams and close to 2500 players ranging in age from 8 to adulthood. Youth Development League (YDL) Toronto District Youth Soccer League (TDYSL) Women's District Soccer League (WDSL) The Toronto Soccer Association is also heavily focused on development- Coach, Player, Referee and Organizational, and is working in tandem with the Ontario Soccer Association and the other District Associations toward the full implementation of the Long Term Player Development plan (LTPD).